We understand that your event entry fee is important to you and you would not want to lose your money. Therefore, we have created a withdrawals policy which allows us and you to be as flexible with your event entry as possible, without it affecting the event setup process. If you notify us via email within 14 days of the original order, a full refund (less the booking fee) will be provided. If you notify us via email 3 months prior to the race date, we will allow a refund (less 20% admin fee). 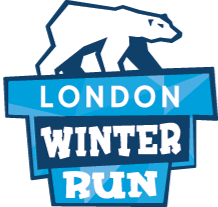 All withdrawals must be done by emailing the Customer Services team at info@winterrunseries.co.uk. Transfers between people: Race entries are transferable between people for a fee of £10, using your profile at active.com, and select “transfer the registration to another athlete”. Please note: once you select to transfer your entry to another person, they will receive an email to accept the transfer. The new participant needs to complete the registration process, including payment. This payment will also include any price increases to event entry. Once this has been completed, the original participant will receive the refund, less the £10 transfer fee. Transfers to a different race: Race entries are transferable to a different race which is currently open– accessible via your profile at active.com. Select the “change event category” option, also for a fee of £10. If the new event is at a higher price than the original booking, the participant will pay the price difference. No refunds will be given if the new event is at a lower price. To view all Human Race events, please follow this link; http://humanrace.co.uk/events/ . The transfer deadline for the London Winter Run is 3rd January 2019. This deadline is set due to event pack mail out schedules. Because we post the race packs out, the data has to be prepared far in advance. Past this date, your pack will be on its way to you and you are fully recognised as an event participant. At this stage we are sorry but we will be unable to offer any refund or transfer. Event deferrals: Unfortunately, we cannot offer deferrals to the following year unless next year’s event is currently open for entries. Discount codes: Unfortunately, if a discount code is not used at time of purchase, no retrospective discounts can be applied. We offer what we believe is a clear and easy process for everyone and keeps administration to a minimum. We think it is a fair policy and hope you do too.